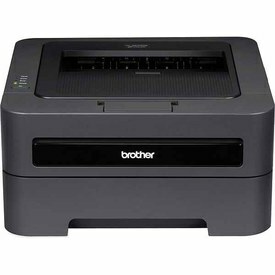 Amazon currently has a great deal on the Brother HL-2270DW Printer! This is my favorite wireless printer for printing coupons. It is on sale for $74.99 (reg. $149.99). The printer is a laser printer so it uses less ink. I own (2) and have recommended them for 5 years. Why will this save money? It comes with a toner cartridge that prints 500-700 sheets! No worries when you do go though all that toner, because there is a compatible Brother high-yield toner cartridge (2,600 yield) for $12.08 on Amazon. If that’s still not enough pages for you, here’s a way to extend your laser toner cartridge life. Since we can get printer paper for free all the time, you are now only paying for the ink and at $15 per 2000 sheets that is basically a cost of $0.007 per coupon! Now that’s a lot of printable coupons, and much cheaper than buying several cartridges of ink for your inkjet printer at $25 or more with an average of 170 pages. Are Coupons okay in Black & White? Yes! They don’t need to ever be in color. You’ll also find with a laser printer that they are now printed much more precisely and you never have problems with them scanning in the store. You can get FREE 2-day shipping with Amazon Prime or FREE Super Saver shipping.